Indigenous on her Father’s side, Ruby Stanley is from the Yirrganydji tribe of Townsville, North Queensland. While 20-year-old Ruby currently lives in Pakenham, Victoria, her family ensures she maintains a close connection with her culture by sharing stories, teaching her parts of the language, and showing her how to play Aboriginal musical instruments among other things. After finishing high school, Ruby took a break to focus on strengthening her mental health. In July 2018, she felt ready to focus on her career. Having never been employed before, Ruby’s friend recommended that she take part in the APpeTite program to prepare her for the world of work. “I wanted to do the program to gain more experience, develop my skills and to get a bit of a head start,” Ruby says. Along with 14 other young people, Ruby gained new skills and knowledge and graduated from the Dandenong APpeTite program on August 8, 2018. Some highlights for Ruby included learning how to write a resume, learning how to make coffee at the barista course and gaining job interview skills. Ruby spent one week of the program doing work experience at Kangan Institute. She impressed the team there and was offered employment through WPC Group as a Business Trainee at Kangan. “Doing a traineeship opens up opportunities,” Ruby says. 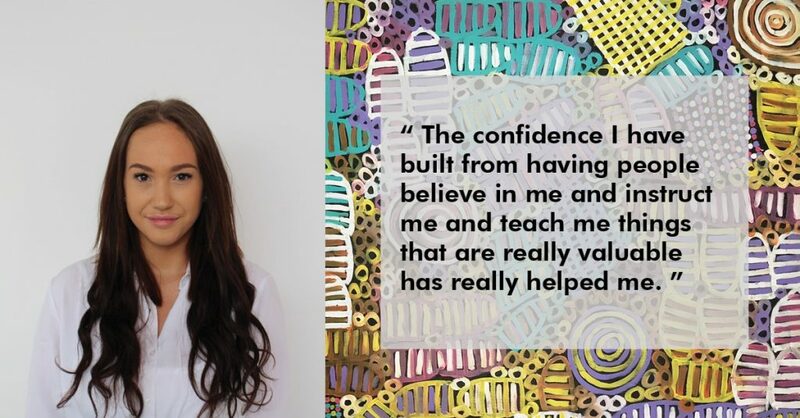 A keen learner, Ruby plans to use the traineeship as a stepping stone to continue upskilling, with hopes of eventually gaining a Bachelor’s degree. ‘Apprentice Riki Realises Her Dream with Downer’ – Brisbane, Queensland. ‘Maddison’s Story: From Trainee to WPC Group Recruitment Consultant’ – Melbourne, Victoria.